What our air duct cleaning services has to offer? Our organic air duct cleaning services are available to the dallas metropolitan area. We offer clean indoor air to residential and commercial properties. On top of that we also have emergency services which cleanup water damage. As part of our commitment to providing a clean and breathable home, we also provide carpet cleaning as we take a holistic approach to making sure you, your family, and your employees are only breathing in high quality clean air. Organic Air Duct Cleaning is Dallas’ leading provider of clean, breathable air to businesses throughout dallas. We are dedicated to helping the dallas community remain happy and healthy, that is why we offer our services which take care of indoor air pollution. Our Air Duct cleaning team is a top provider in natural air duct cleaning services. 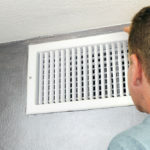 We provide fast, friendly, and reliable residential air duct cleaning services to the city of Dallas. We only hire qualified technicians with a plethora of experience. Call Organic Air Duct Cleaning today and see how we can help you breathe cleaner air today! Here at Organic Air Duct Cleaning we know that water damage is a huge problem throughout much of texas. Our team is dedicated to ensuring services which help our community thrive. That is why we provide emergency services, especially in case of molding, water damage, and flooding in dallas. Don’t Hesitate to ask us Why? Our services offer a variety of advantages for the dallas community. First and most importantly, we take care of the growing problem that is air pollution. In the long run this will ensure that you are living happier, healthier, and save you money in medical bills. In the short term, our services will also help with allergies, and save you money on your heating or AC bill during those hot texas summers.